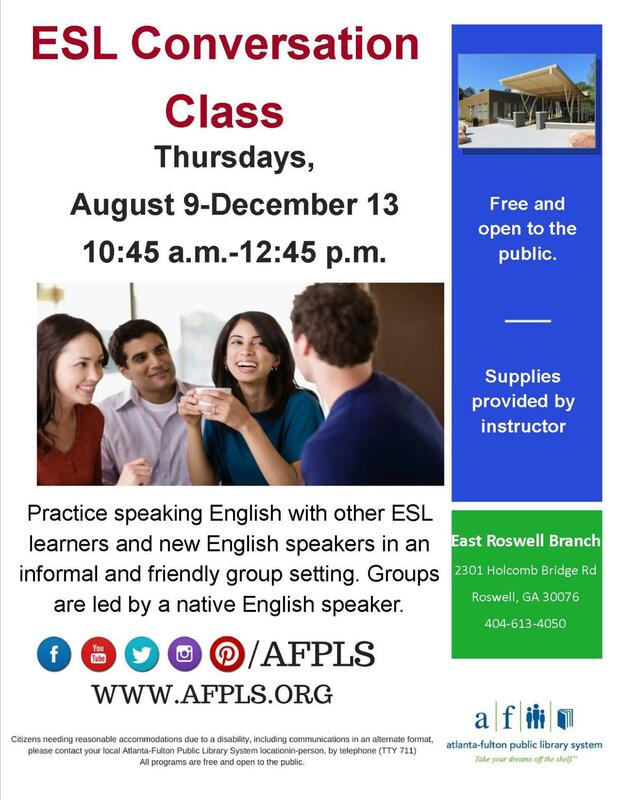 Practice speaking English with other ESL learners and new English speakers in an informal and friendly group setting. Groups are led by a native English speaker. Registration is not required.